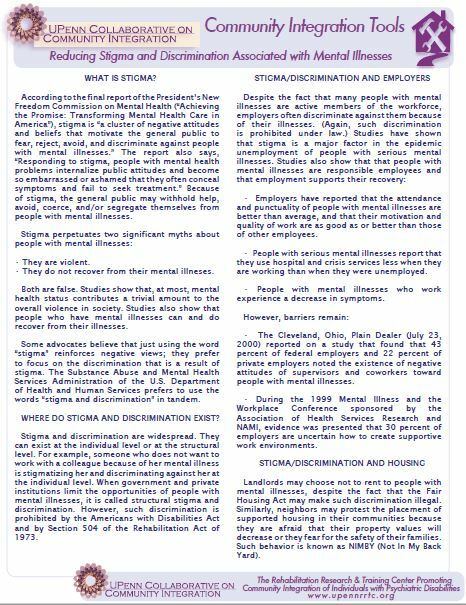 A review of the persistence of discrimination towards individuals with mental health conditions in public settings, mental health provider agencies, and academic programs, as well as recommendations for policy and practice changes and public educational programming. 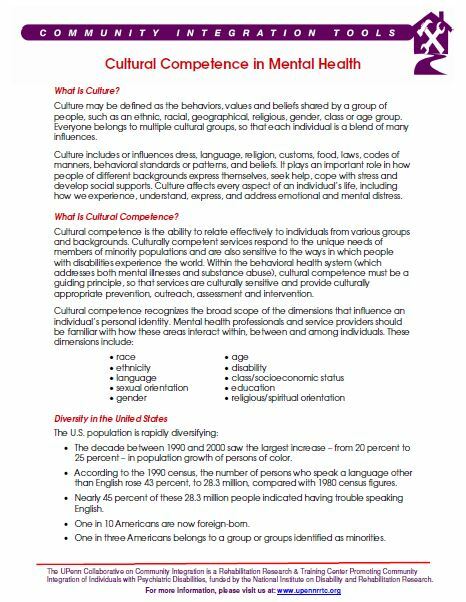 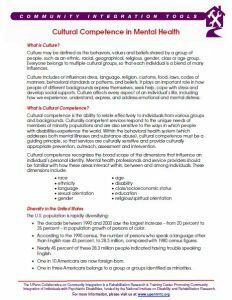 This brief document discusses discrimination based on age, gender, sexual orientation, disability status, class, and religion, with suggestions on how service providers can incorporate cultural competency standards into their daily practice, with an emphasis on how culture plays an important role in how people with mental illnesses express themselves, cope with stress, and meet life’s challenges. 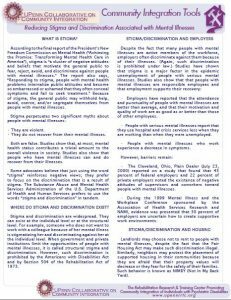 This brief ‘community inclusion toolkit’ provides an overview of the current research into the prejudice and discrimination faced by people with psychiatric disabilities in community settings, and offers recommendations for effective strategies – for consumers and staff – in building more supportive communities.